This post is based on a column originally published in the March 16th issue of Shelf Awareness for Readers. If you don't already get this bi-weekly dose of bookish goodness in your inbox, sign up here to fix that. It's St. Patrick's Day! I know that means you're all readying yourselves for the inevitable onslaught of green beer, soda bread and corned beef. There's more to this holiday than food coloring, however; why not celebrate by taking a deeper dive into Irish literature? 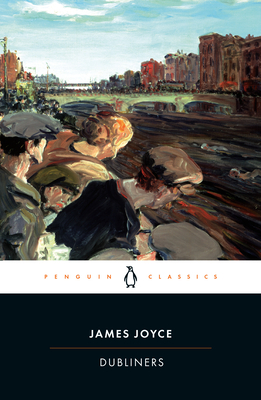 One of the most well-known works of Irish literature, of course, is Joyce's daunting Ulysses. While those who have read this in its entirety should surely be commended, those looking for a more approachable way to encounter Joyce might consider Dubliners, a collection of Joyce's short stories originally published in 1914. Each of the 15 stories gives readers a glimpse into Dublin as both a city and as a collection of people, ranging from a simple tale of two young boys playing hooky from school to a more complex story about the nature of life and death. 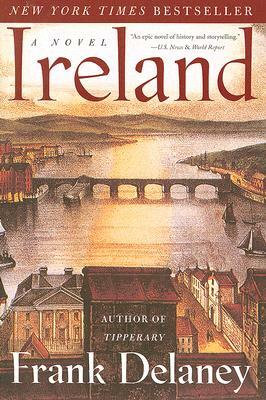 Frank Delaney's Ireland is a rich novel of storytelling and narration, in which Ronan, a nine-year-old boy, is captivated by the stories told by a traveling storyteller. After the storyteller leaves, Ronan vows to find him once again, traveling Ireland by foot on search of his mentor, becoming entranced by Irish myth and culture along the way. Delaney's novel is complex and inviting, weaving together well-known stories of Irish folklore with the story of Ronan and his family; the result is as much a celebration of Ireland as it is of storytelling itself. On an Irish Island by Robert Kanigel, takes a close look at the history of the Blasket Islands, known in theearly 20th century for its community and for the unadulterated Irish language still spoken there. But as more and more visitors came to experience this linguistic rarity themselves (the Irish language was in steep decline throughout most of the 20th century), the self-contained community of the Blasket Islands began to erode, culminating in a government-ordered evacuation of the islands in 1953. Kanigel's work is well-researched and thoughtful, asking critical questions on the nature of linguistics, cause and effect, and the preservation of culture. Beannachtaí na Féile Pádraig oraibh! (rough pronunciation: bahn-ach-tee na faw-leh paw-dreg oh-riv) Happy St. Patrick's Day! While you're here, enter to win a copy of Frank Delaney's Ireland. Simply leave a comment here to enter. I love Frank Delaney's books by audio - he reads them himself in his lilting Irish accent. Why Do We Have to Read Poetry?